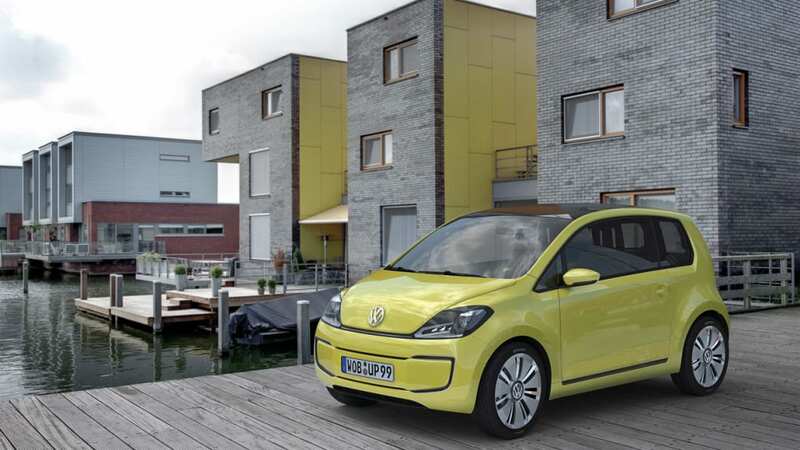 Frankfurt 2009: Volkswagen calls E-Up! 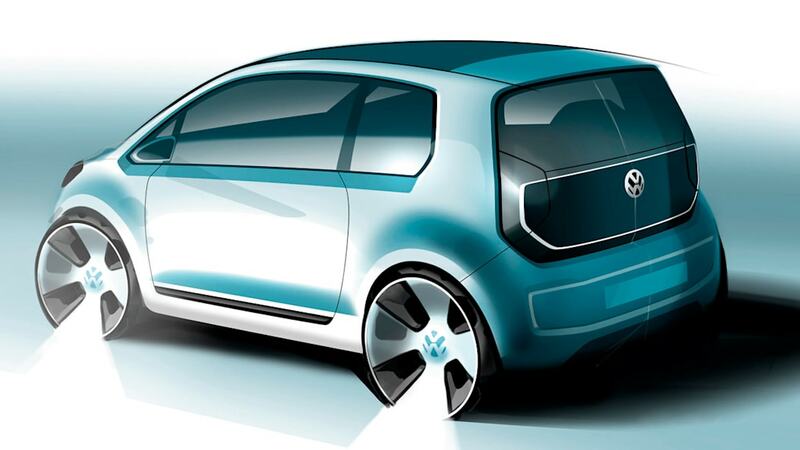 Concept "Beetle of the 21st Century"
Volkswagen promises to release the "Beetle of the 21st Century" by 2013. 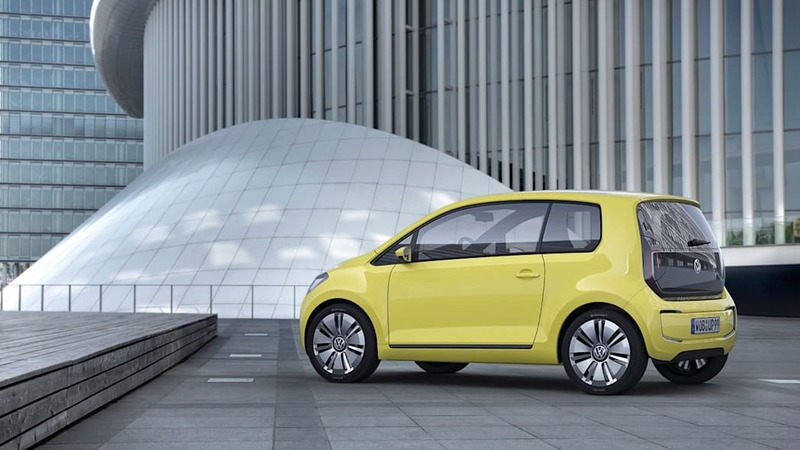 Those are some of the biggest shoes in the history of the automobile to fill, and VW plans to do just that with a new car based on the New Small Family architecture that was introduced on the original Up! concept that's been floating around for the last few years. 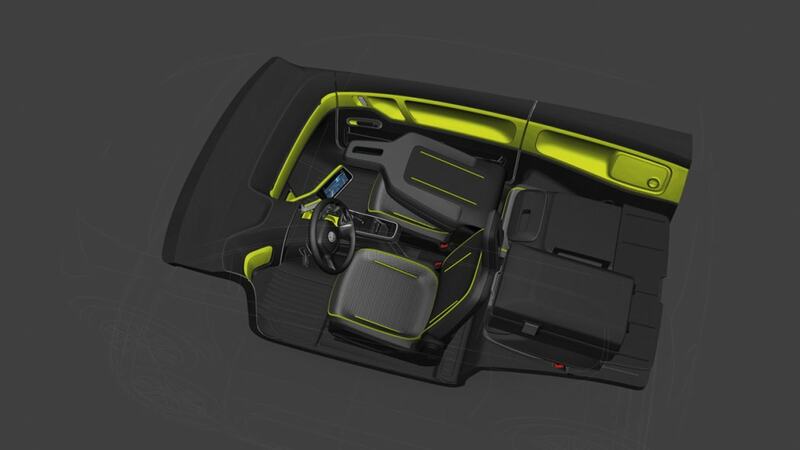 Naturally, like any future-spec concept that's looking to alter the vehicular landscape, the E-Up! will be powered by electrons. 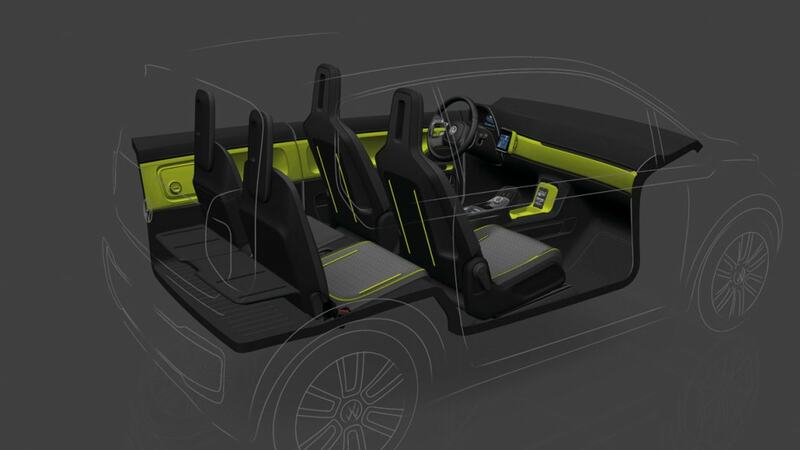 The car is small – under 10.5 feet (3.19 meters) in length – and will seat four occupants in a 3+1 arrangement. Top speed is listed at just under 85 miles per hour (135 km/h) and the run to 60 mph will take about 11 seconds while the city-centric zero to 30 mph is dispatched in just 3.5 seconds. That performance is surely buoyed by the E-Up! 's low weight of about 2,400 pounds (1,085 kilometers) – 530 pounds of which is accounted for by the 18 kWh lithium ion battery pack. 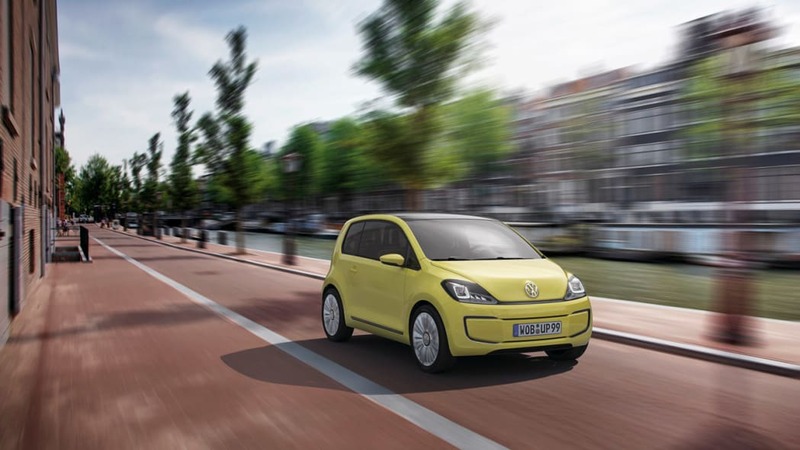 That's enough juice to provide a range of about 80 miles (130 kilometers), which VW believes is sufficient for urban use. Depending on the outlet used to charge the EV, a battery pack replenished to 80% takes as little as an hour. VW is quick to point out that its E-Up! is not a retro design like its own New Beetle. Instead, the car used Volkswagen's latest design languages and draws inspiration from current models like the Polo and Golf. Details like diamond-cut head lamps and C-shaped fog lights join the solar roof that provides a working ventilation system without draining the battery to add to the car's futuristic feel. Click on past the break for the complete press release and check out our gallery of images below. Wolfsburg / Frankfurt, 14 September 2009 - Volkswagen is presenting a pioneering fleet of new sustainable automobiles at the 63rd International Motor Show (IAA) – an update on the future. 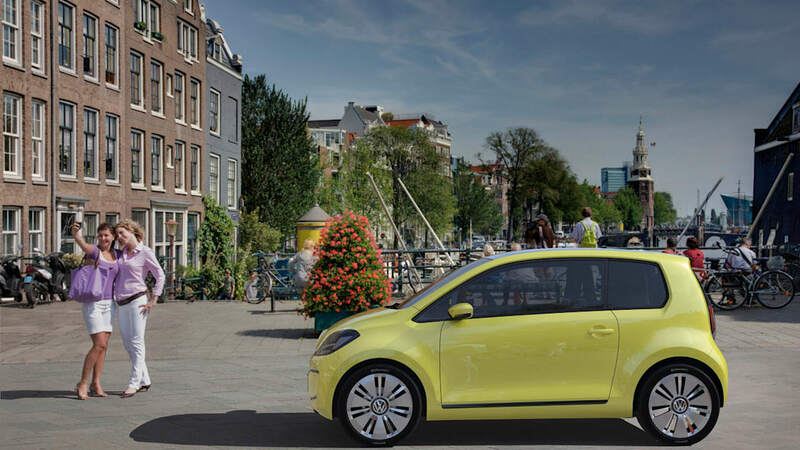 The range of IAA premieres extends from the world's most fuel-efficient production passenger car (BlueMotion) to hybrid technology and an electric car developed from the ground up – the E-Up! that is being presented in a world premiere in Frankfurt. Altogether, these Volkswagens are revising milestones on the timeline between present and future. "One of the basic milestones on this timeline," says Prof. Dr. Martin Winterkorn, Chairman of the Board of Management of the Volkswagen Group, "is the mass produced electric car. Yet, to be a genuine success such an electric car must be affordable to a broad customer base and must be uncompromisingly practical in everyday driving. Only then, in high volumes, and ideally on all continents, can one truly speak of the beginning of the electric age in automobiles and a perceptible reduction of their environmental impact." 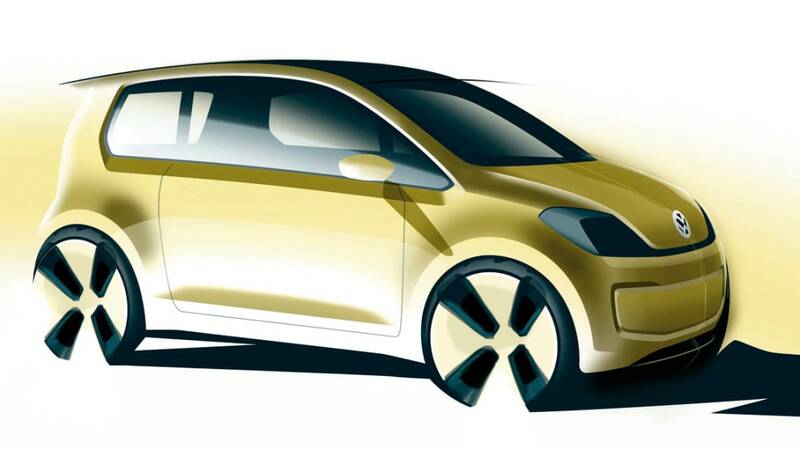 The Group chief continues: "Nonetheless, until the production numbers of a purely electric car approach the success curve of a Polo, its schedule will indicate the year 2020 at the earliest. That is why our highly efficient TDI and TSI engines are the most important waypoints of the present. They will continue to be a dominant force for decades. And they are what allow us to make the step-by-step transition to the future. Cars with pure petrol and diesel engines – which in the foreseeable future will continue be unbeatable for mid- to long-range distances – will be supplemented by cars like the E-Up! in upcoming years, especially in the city. And that will happen starting in 2013. 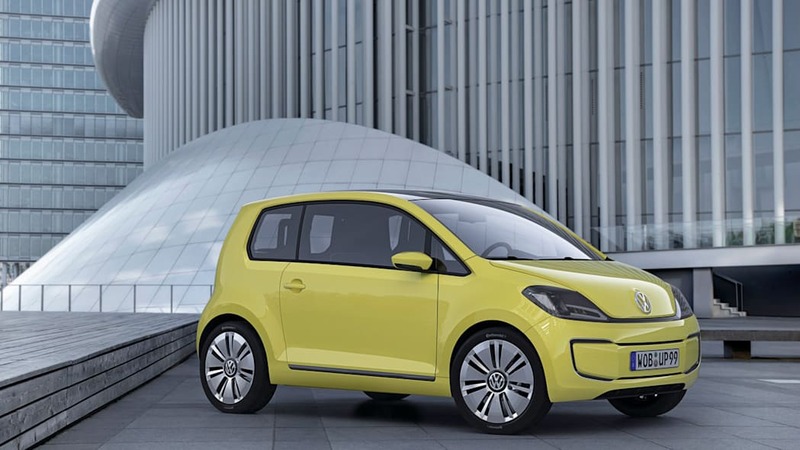 The concept car now being presented in Frankfurt very realistically shows how we envision such a Volkswagen with pure electric drive – technically, visually and with regard to a practical size." The zero-emissions concept car designed under the leadership of Dr. Ulrich Hackenberg, Member of the Board of Management, Volkswagen Brand, and Head of the Development business area, is based on modules of the New Small Family anticipated in the year 2011, but at a length of 3.19 meters it is even more compact. It also offers an innovative 3+1 seating concept. In its styling, the powerful and clearly drawn lines of the E-Up! 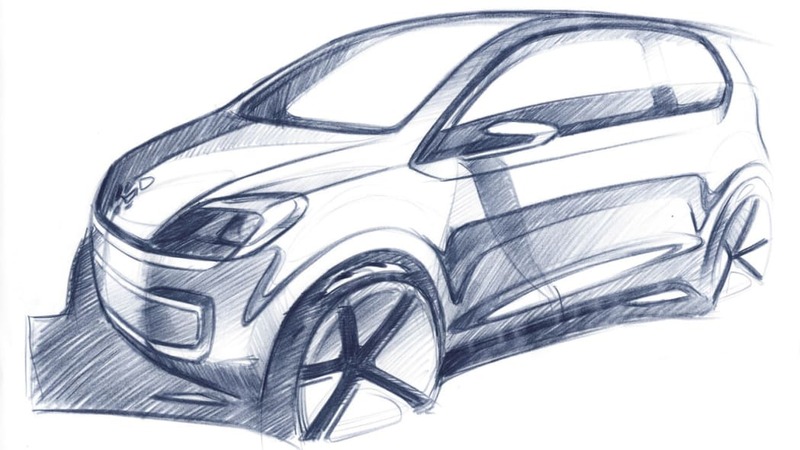 body follow the new Volkswagen "design DNA" par excellence and show cult potential. That is because never before has an ultra-compact vehicle – which does not aim to be retro but forges new paths instead – brought such appealing, timeless, class-independent and dynamic qualities to light. 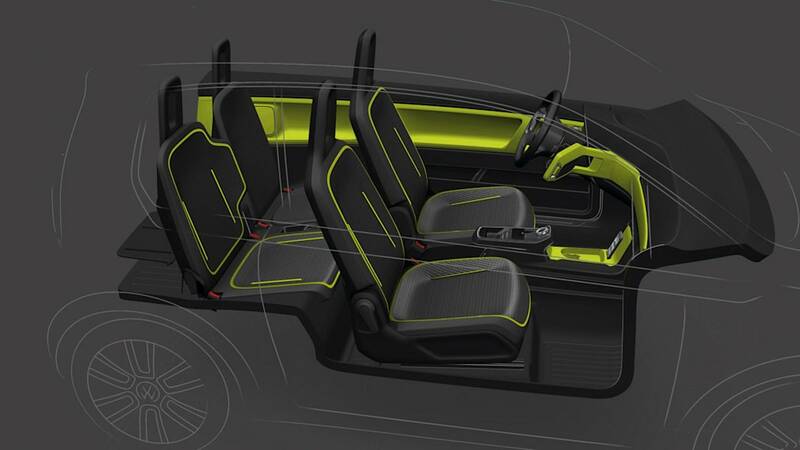 Inside, the smallest Volkswagen ever also astonishes with its impressive space utilisation. The 135 km/h fast 3+1 seater is driven by an electric motor with a peak power output of 60 kW (continuous power: 40 kW). The motor of the front-wheel drive car, which is mounted in front, develops a maximum torque of 210 Newton-meters right from rest. The driver activates forward or reverse gear via a rotary knob in the centre console. The fact that the E-Up! will also quite clearly offer driving enjoyment is demonstrated by a look at the car's classic 0 to 100-km/h sprint time: 11.3 seconds. The E-Up! develops even greater responsiveness in the intermediate sprint from 0 to 50 km/h in city driving: 3.5 seconds. This dynamic performance is based first on the electric motor's excellent torque characteristic and second on the low kerb weight of the E-Up!, which is just 1,085 kilograms. Lithium-ion battery: The car's low weight is quite astounding, given the fact that 240 kilograms are taken up by the lithium-ion battery. 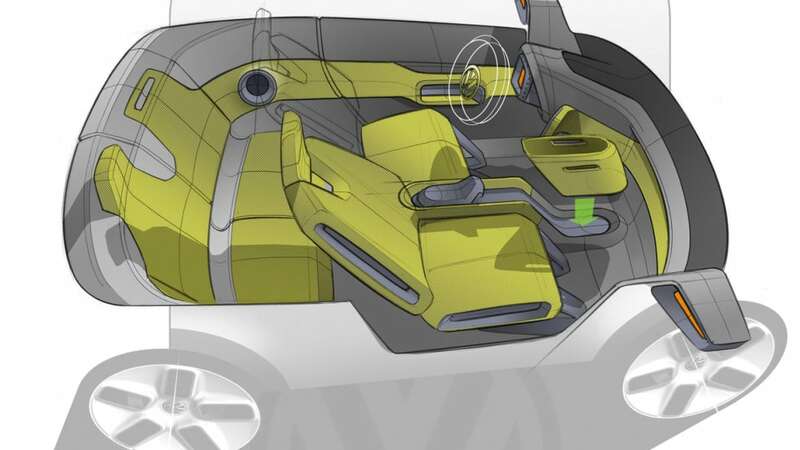 The implemented battery's energy capacity of 18 kilowatt-hours (kWh) enables driving distances of up to 130 kilometres, depending on driving style – enough for the city and the drives of most commuters. The E-Up! will be "refueled" in the garage at home, in a parking structure or on the road at one of the future municipal recharging stations that will be enabled by chip card. Depending on the available charging infrastructure and the battery's momentary charge state, the storage battery could be charged to up to 80 percent of its total capacity within an hour. If the batteries are recharged in a home garage, for example, by plugging it into a 230-Volt household outlet, this would take a maximum of five hours. Generally, off-peak night-time electric rates are very inexpensive. So refueled at night the E-Up! could be driven 100 kilometres for just two Euros in electricity costs (about 14 Euro cents / kWh). The batteries themselves are housed in the underbody of the E-Up! To optimally distribute the weight of the battery system, it is housed in a special, crash-protected tray in the underbody frame. Air cooling ensures a constant heat balance within the batteries. The fans and heat exchangers needed for this are housed in the front section of the underbody. Integral drive: The teams of Concept Development (headed by Ralf-Gerhard Willner) and Engine Development (headed by Dr. Jens Hadler) integrated all important drive assemblies and auxiliary assemblies in the engine compartment at the front end. 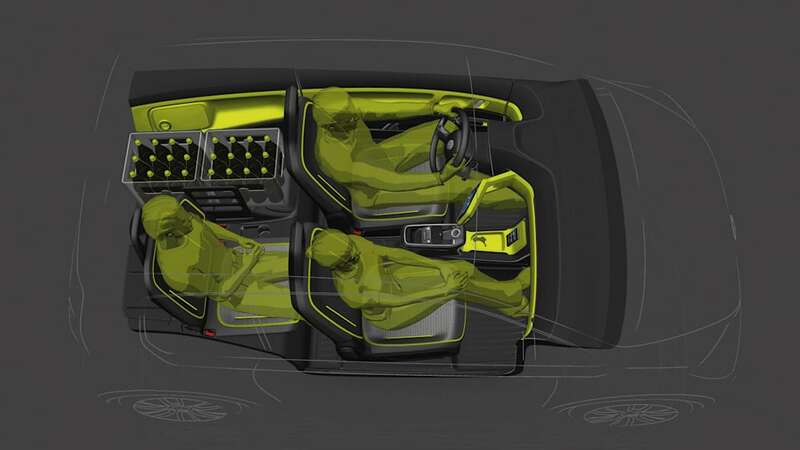 The design of an integrated form of the electric drive made a key contribution toward reducing weight and space requirements for the drive unit. Background: All components important to the powertrain are unified in compact form in the so-called integral drive. In this unit, the electric motor, together with the transmission and differential, form the centrepiece of this drive. Energy is supplied via a high-power pulse-control inverter, which is combined with the 12-Volt electrical system DC/DC converter and the charger to form the compact integral drive. At 140 kilograms, the integral drive is also very lightweight. To summarise its advantages: low space requirement, ideal acoustic comfort, high torque and power development and strong driving performance in the city. So the system fulfils the requirements of an innovative electric drive in a nearly ideal way. The E-Up! emphatically demonstrates that emission-free Volkswagens will be anything but lacking in emotion. Responsible for this, once again, is the team led by Group Chief Designer Walter de Silva. 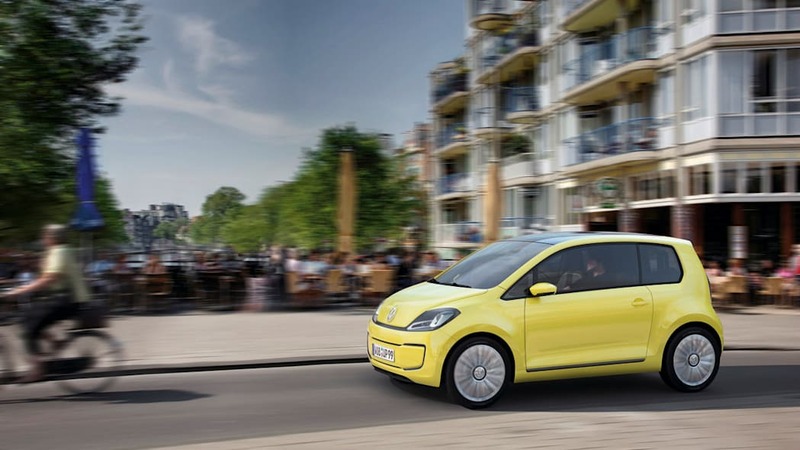 Together with Klaus Bischoff (Chief Designer, Volkswagen Brand) and Flavio Manzoni (Head of Creative Design, Volkswagen Group), he developed a layout for the E-Up! that reflects the visual bandwidth of the future New Small Family. The E-Up! bears a resemblance to previously presented concept vehicles of this new model series – the Up! (city specialist), Space-Up! (microvan) and Space-Up Blue! (fuel cell powered van) – it represents a design stage that reflects the future production car even more closely. "The E-Up! ", says Klaus Bischoff, "is characterised by a reduced, very clear and yet highly emotional design." And that is certainly no coincidence. The car's lines consistently follow Volkswagen's new era "design DNA" that was developed by de Silva, Bischoff and Manzoni. Its key stylistic traits: Simplicity, purity, durability and perfection of its technologies and quality. Bischoff: "The new concept is therefore very much in harmony with its stylistic 'siblings' of the New Small Family, the Roadster BlueSport and the new Polo." Dimensions of the E-Up! are 3.19 meters (length) x 1.64 meters (width) x 1.47 meters (height). Its wheelbase is 2.19 meters. Front end: Although E-Up! styling was developed from the Up!, the electric car differs from conventionally powered models in the new model series. Consider the front end: It fits in perfectly with the brand's new family face, yet at the same time it refers back to one of the greatest icons in automotive history in the area of the engine bonnet: the Beetle. Nonetheless, the E-Up! does not reveal the slightest hint of retro styling; instead, designers created new and unmistakable styling tools that would carry the small Volkswagen far into the future. Fitting in with this image are the headlights with their facet-like lenses – cut like diamonds – that extend over the entire width of the lens cover. Another interesting detail: the fog lights. At first glance they can hardly be recognised as such. The designers have configured them as C-shaped, chrome-trimmed elements in the headlight housings. Also style-defining is the black line running in a circular pattern in the bumper – a typical characteristic of the New Small Family. 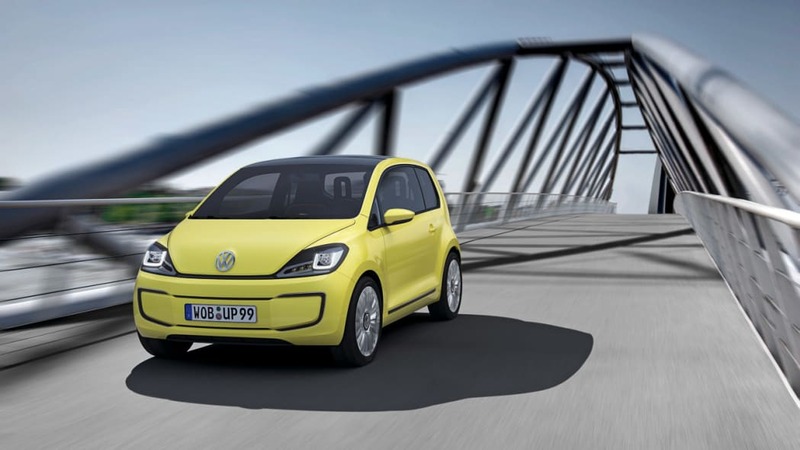 "In the interplay of all elements, the bumper, headlights and engine bonnet," explains Klaus Bischoff, "the E-Up! really appears to smile. And that is how it should be." Conspicuous: There are hardly any openings at the front end, since there is no need for separate cooling of the drive unit. The VW logo on the V-shaped engine bonnet of the E-Up! is more than just an homage to the Beetle. Hidden behind the folding logo is the integrated port for charging the batteries. The advantage of positioning the plug port here is that it makes it easier to recharge the E-Up! from stations on either the left or right sides of the street or directly in front of the car. 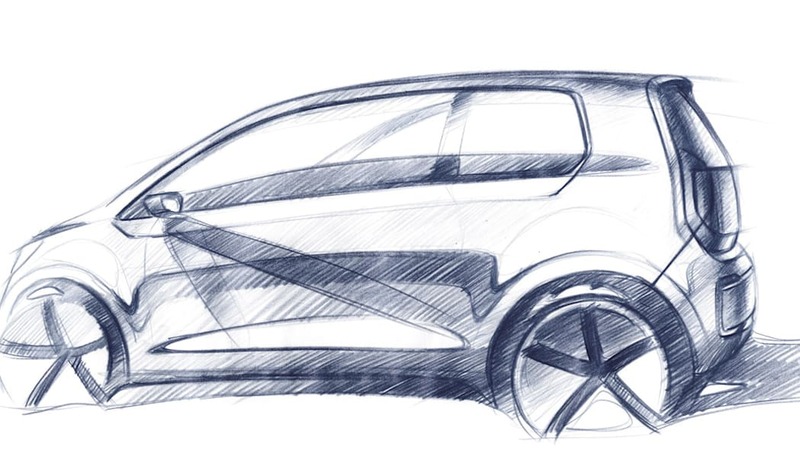 Side profile: "In keeping with Volkswagen's "design DNA" the side sections also exhibit a high level of stylistic purity, following the Bauhaus principle created in the 1920s in Germany that 'less is more'," says Flavio Manzoni. This car's visual identity is very intentionally created by just a few graphic elements that blend together to form a new unit in the classic Bauhaus approach to creative art and innovative technology. These defining elements of the E-Up! side profile include its side glass and shoulder styling line above the door handles known as the tornado line. The side profile styling is further defined by the car's short body overhangs, the confident outward shaping of the wheel housings and unique C-pillar. Flavio Manzoni explains the special presence of the C-pillar: "Visually, the vertically aligned C-pillar is positioned above the rear wheel, which conveys a feeling of balance and solidity. These properties are indispensable for a Volkswagen. Last but not least, the prominent and powerful wheel styling gives the car a perfect 'demeanour'". Rear end: The basic graphic forms of the tailgate and rear bumper follow those of the very first Up! However, the once again completely glazed tailgate now exhibits significantly larger taillights in dark smoked glass look. Running through the taillights is a line trimmed in chrome that extends across the tailgate. The circular chrome line unites the two taillights in a vertical direction. These accents are also reflected in the matching graphic element of the front and rear bumpers. Solar roof: The roof of the E-Up! is equipped with solar cells over an area measuring 1.4 square meters. 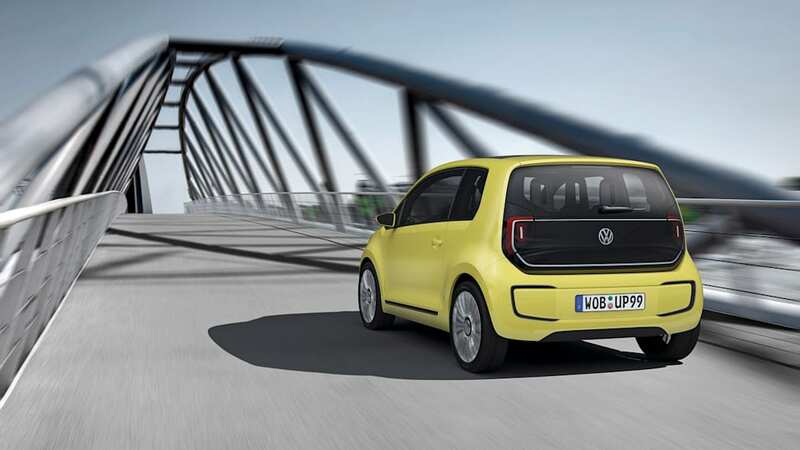 This area – between the rear part of the roof edge spoiler and the front windscreen – can be enlarged to 1.7 square meters in total by folding down the sun visors that are also equipped with solar cells. 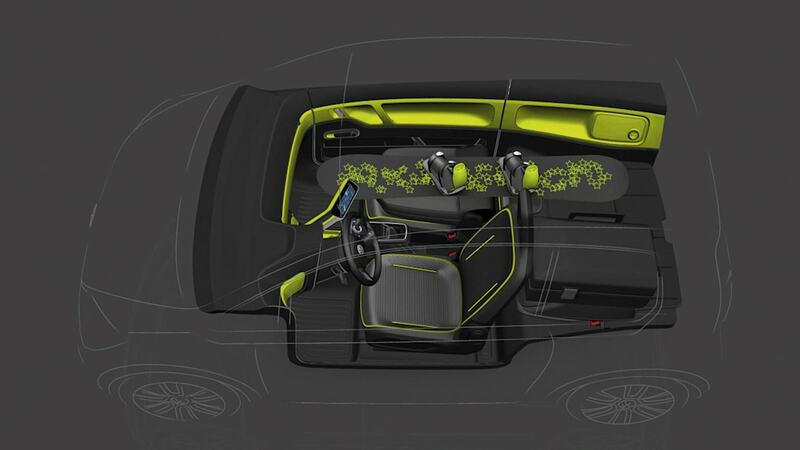 The solar cells continuously supply energy to the car's electrical system, and while the vehicle is parked they help to cool the interior by supplying energy to the car's ventilation system. Flavio Manzoni: "The interior was designed in complete harmony with the car's exterior styling, and it exhibits a similar aesthetic with a technical-purist influence." To improve the electric car's energy economy by avoiding unnecessary loads, actuators such as mirror adjustment and window lifts were designed to be manually operated. Nonetheless, the highly innovative E-Up! makes its appearance with an impressive array of future generation high-tech displays and controls. They are all quite self-explanatory, and the car's controls are intuitive, making driving and life with this Volkswagen as simple and stress-free as possible. 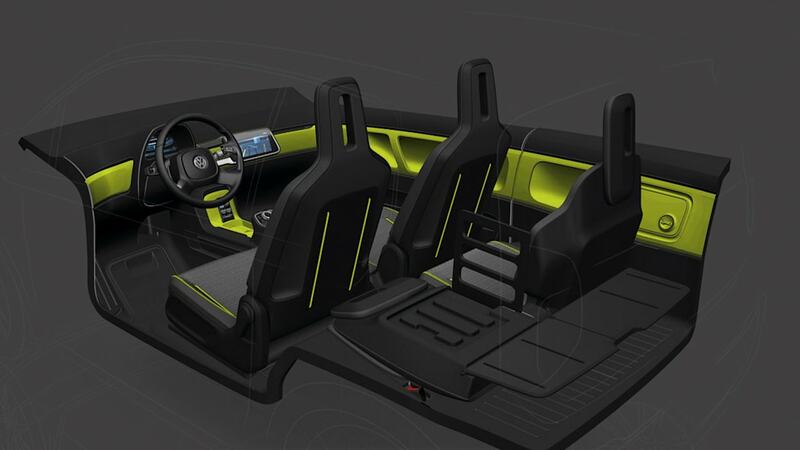 HMI: The concept car has a touch-screen based HMI (Human Machine Interface) with intelligent E-Up! specific indicators and assistance functions. During navigation, the system continually monitors the momentary load state of the batteries, for example, as well as activated energy consumers such as lights and air conditioner, momentary traffic data, elevation profiles of potential routes and the locations of available charging stations. The driver can display these "filling stations" at any time; available charging stations may be reserved within a defined reservation time period. The charging process can also be precisely planned to the minute via the HMI. This lets users charge the E-Up! during a specific time period in which electricity is available at special low rates. The charging process can be activated at any time via an intuitively operated application installed on an iPhone or similar mobile device, even from outside of the vehicle. Even more: From the application users can query the momentary charge status and vehicle location (the latter via map display) or simply check whether the car is locked. Moreover, to preserve vehicle battery power the program lets users pre-condition the E-Up! interior. 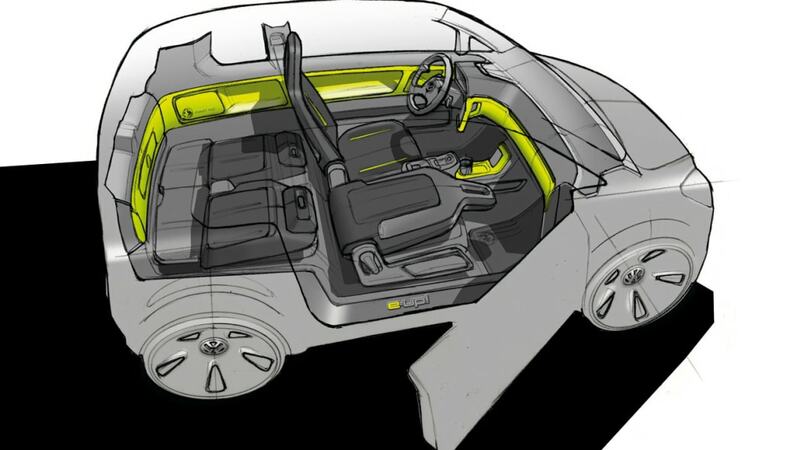 This involves cooling or heating the car's interior as long as the car is still connected to the charging station and is drawing its electrical power from the electrical grid. The generous space implemented over a total vehicle area of just 5.1 square meters is absolutely astounding. Several factors are responsible for this clever packaging. First, there is the reduced size of the instrument panel, which was shifted further forward than usual toward the engine compartment. This was enabled, among other things, by optimising the components within the instrument panel. Second, the small Volkswagen is a 3+1 seater. This means that the front passenger seat is located 50 millimetres forward, thanks to the instruments being shifted further forward. This layout increases leg room in the rear behind the front passenger tremendously. 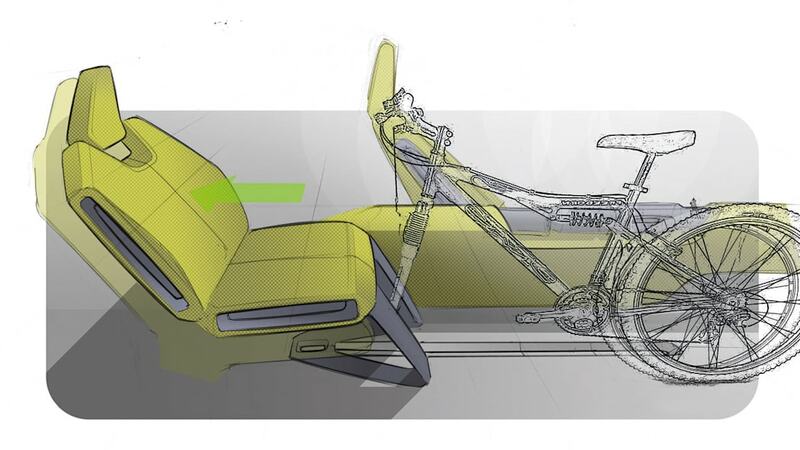 As a result, two adults can sit comfortably on the passenger's side. 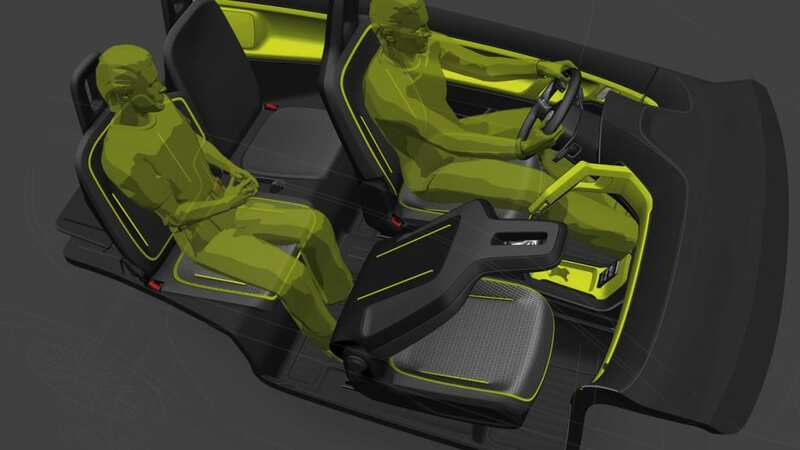 Stepping into the vehicle is also simplified by an Easy-Entry feature, which allows the front passenger's seat to be pushed up to 270 millimetres away from the rear bench. There is less leg room behind the "normally" positioned driver's seat; the space here was designed as a spare seat. Additional freedom of movement is provided to rear passengers by lowering the centre tunnel in front of the rear bench seat; it serves as an additional footrest. This enables use of an electric handbrake in the style of the Passat, so that no lever mechanism obstructs the footwell. 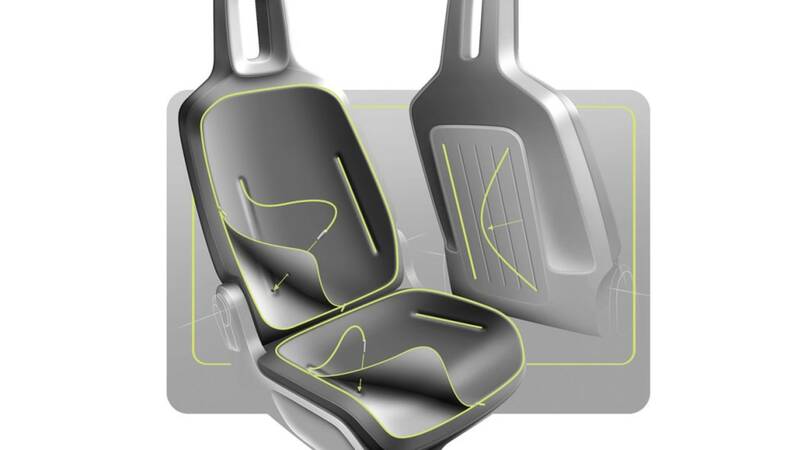 Cargo area: The clever packaging solutions do not end there: To optimise comfort in the rear, the rear seat backrest is split 40/60. 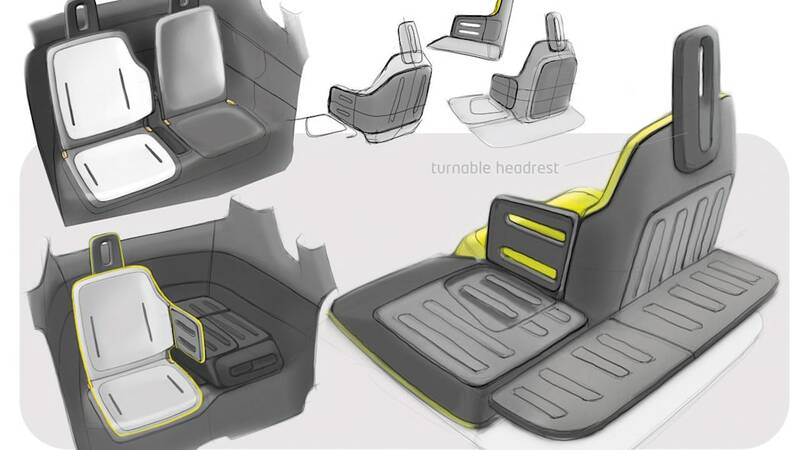 When the backrest on the driver's seat is folded down (40 percent section), stowage capacity is increased from 85 to 180 litres (with loading to the upper edge of the front seat backrest). This stowage space can be enclosed by a load barrier that folds down out from the folded backrest. 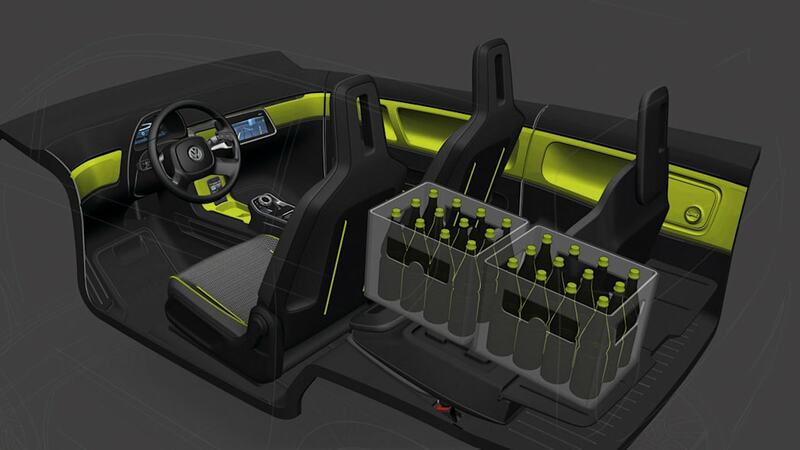 When the entire rear seating backrest is folded down, a stowage capacity of 320 litres is created. It is even 520 litres when loaded to the roofliner. To transport long objects, the front passenger's backrest can also be folded to a pass-through position. In this configuration, the E-Up! can handle objects up to two metres in length. This high degree of variability will also certainly characterise the affordable production version of an Up! powered by an electric motor. That is because electric cars, as Prof. Dr. Martin Winterkorn insists and therefore wrote into the specification for this future Volkswagen, must be truly affordable and offer uncompromising everyday practicality. 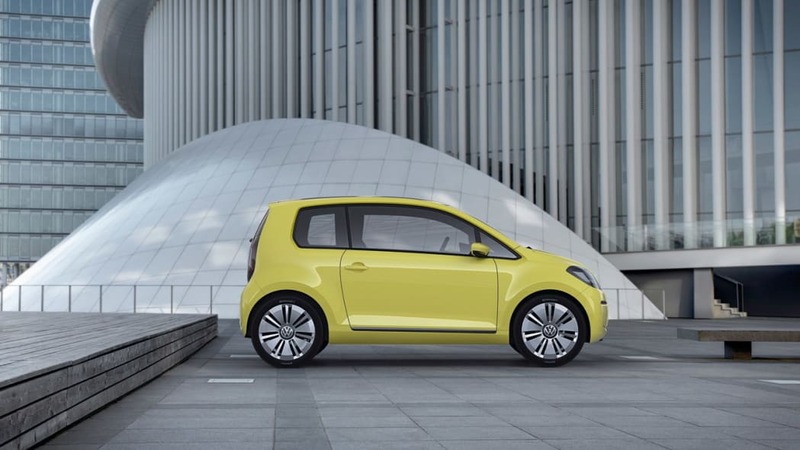 Volkswagen is comprehensively addressing implementation of this everyday practicality. These efforts not only encompass the vehicle itself, but the entire environment around the car driver. In the city, for example, this includes the realisation that after parking the E-Up! people will want to cover shorter distances without a car – from the job to lunch, to the fitness studio, another meeting, whatever is on the day's schedule. For these shorter trips, the Volkswagen "Micro-mobility in the city" concept team has invented clever zero-emission micro-vehicles. The Kickstep, for example, which is an ultra-compact folding scooter. And the electrically powered Microbully, a scooter that also fits easily in the E-Up! load space. There is also the ped-tric, a folding bike with electric motors built into the wheel hubs that could also make the trip to the city aboard the E-Up! And even the VW_1M, a large electric moped – the size of a carry-on case when not in use – that could be stowed in the E-Up! without even needing to fold down the rear bench seat. 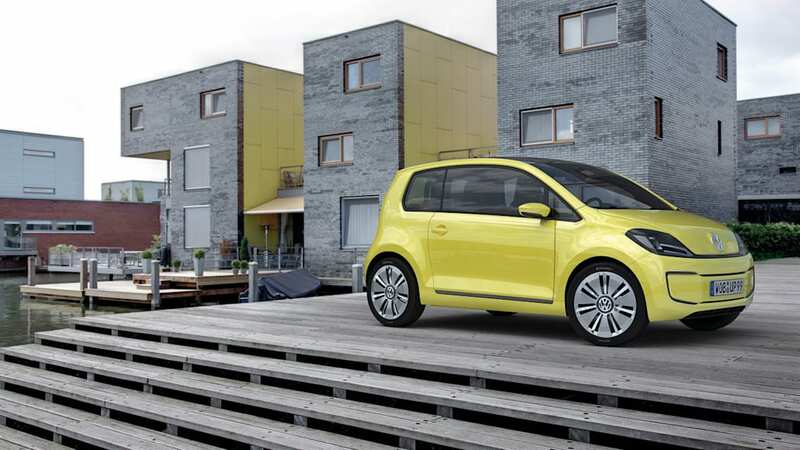 Such micro-mobility solutions were created at the Volkswagen Design Center in Potsdam. So the E-Up! will be putting many things into motion. In 2013 this will become a reality for the first time.